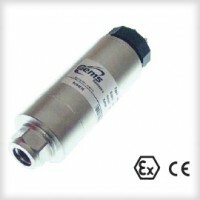 The 6700 series pressure transducer features customer accessible 5:1 turndown via a switch and potentiometer. Down ranging whether factory or user adjusted is ideal for applications requiring high overpressure. The 6700 is housed in a rugged enclosure for harsh conditions and features superb stability by incorporating Gems’™ CVD sensing element. ATEX intrinsically safe versions also available.